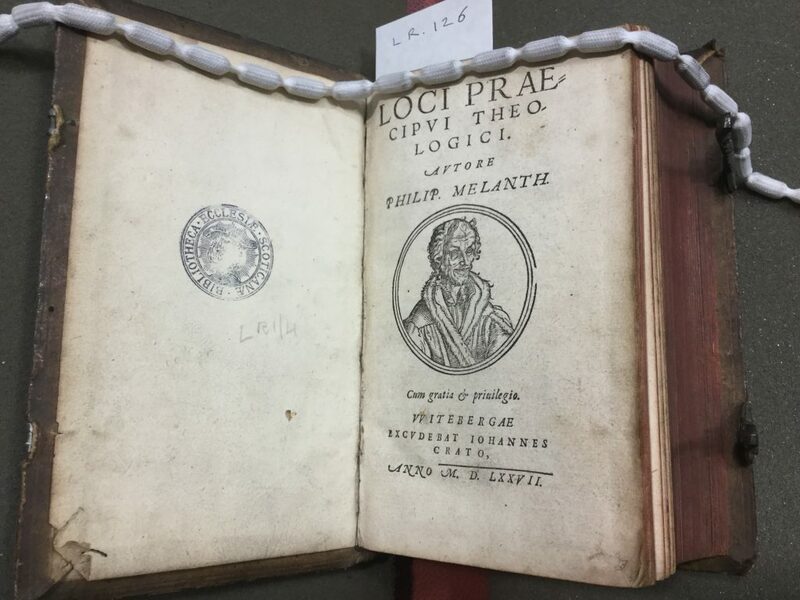 The book below, an edition of Melanchthon’s important work Loci Communes, was developed from his Lectures on Romans at the University of Wittenberg. 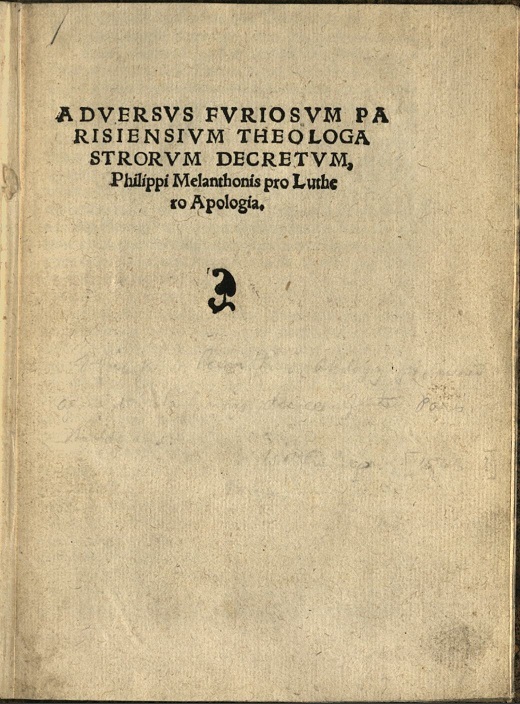 In this 1577 edition, Melanchthon’s image appears as a woodcut title page portrait of the author. 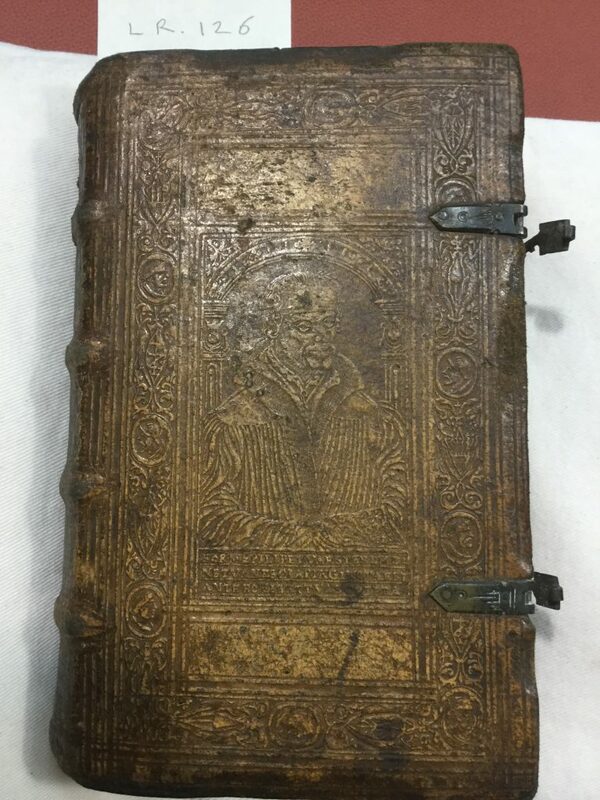 But his portrait is also preserved in the binding, which has sixteenth century vellum over wooden boards with decorative panels enclosing a blind tooled portrait. The edges of the leaves are stained red, with brass clasp fasteners. This book is more than a text, it is a high value item and an indication of the status Melanchthon had gained as a Reformation icon since his death in 1650. 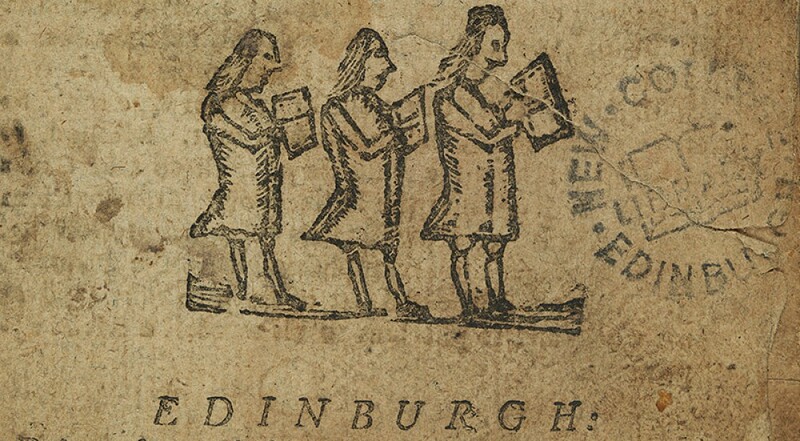 This entry was posted in Library and tagged Divinity, new college library, rare books, Reformation, sixteenth-century, Theology & Ethics by cloverodgers. Bookmark the permalink.